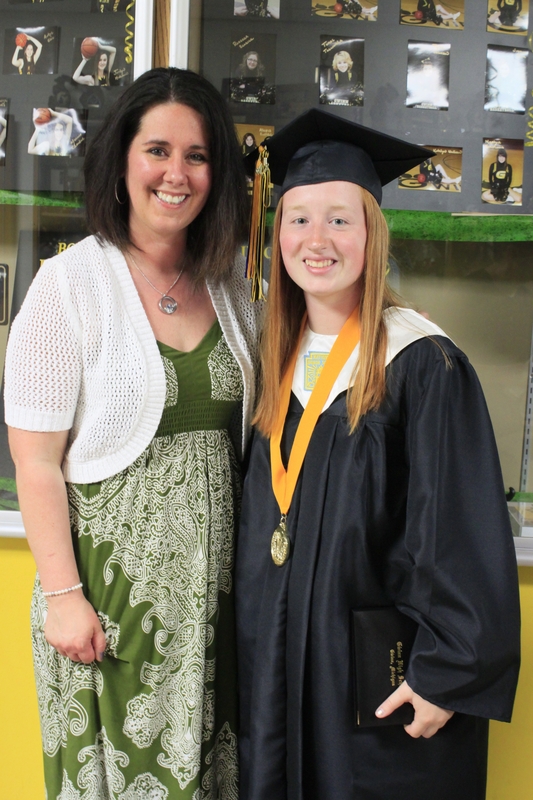 Blended Voices | Two high school English teachers celebrate their 13th year of teaching. Back-to-School season has always been my favorite time of year. Not only do I love the new beginnings of the school year, I also love fall-scented candles, caramel apples, mums, and cardigan sweaters. As a teacher, though, I feel exhausted at the beginning of the school year. I supervise the after-school homework lab, so it is 4:30 at the earliest when I head home. There are papers to grade, lessons to plans, but first … dinner to make. With five of us in the house — including three teenagers — everyone is hungry, and we want to eat now. Too often, I find myself at the local grocery store after school, trying to figure out something quick and delicious to eat. It doesn’t help that I have picky eaters at home. We have a handful of favorite recipes that we eat week after week, and so we find ourselves stuck in a food rut. Therefore, I have decided to try something new: Meal planning made simple with eMeals. You start off by choosing a meal plan based on your eating style, your family size, and even your favorite grocery store. Here are the meal plan options: Classic Meals, Clean Eating, Paleo, 30 Minute Meals, Slow Cooker, Low Fat, Low Carb, Low Calorie, Simple Gourmet, Mediterranean, Kid Friendly, Diabetic, Vegetarian, Portion Control, or Gluten Free. I considered signing up for the new 30 Minute Meals plan, but instead — with my meat-and-potatoes family — I chose Classic Meals. A membership costs $30 for three months; $48 for six months; or $58 for a year. There also are breakfast, lunch, and dessert plans which can be purchased for an additional cost. Every week, a customized meal plan arrives in your in-box with seven dinner recipes. This includes entrees and side dishes. Along with the meal plan, you get a detailed shopping list. This is what I love! The shopping list is coordinated with the sales that week for whichever store you select. Here are the store choices: Aldi, Costco, Kroger, Publix, Safeway, Target, Walmart, and Whole Foods. Or you can select Other Store, which is not coordinated with the sales. The down side for me, living in a rural area in Michigan’s Upper Peninsula, is that the only two stores we have on that list are Target and Walmart. I selected Walmart for my plan. I signed up for eMeals just a few days ago. The first menu came with these seven dinner recipes: Shepherd’s Pie, Creamy Chicken and Spinach Pasta, Skillet Pork Chops with Mushroom Sauce, Greek Nachos, Grilled Orange-Garlic Chicken, Homestyle Pot Roast, and Open-Faced Roast Beef Sandwiches. Sounds good, right? 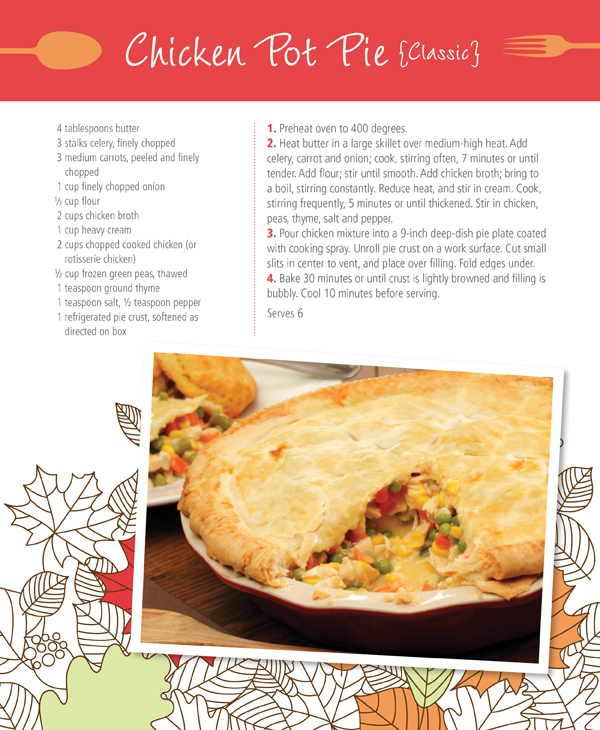 How about this eMeals Chicken Pot Pie recipe? Shepherd’s Pie and Homestyle Pot Roast are no-brainers with my family. 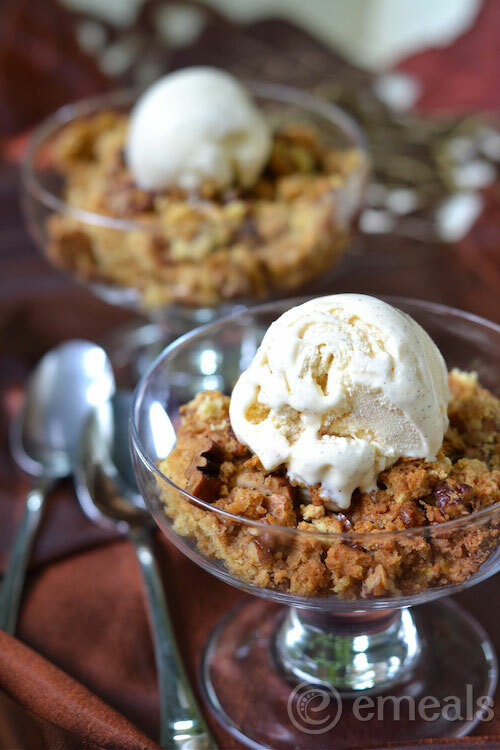 We love these comfort foods. Looking over the menu, I’m not sure that my family will love the Creamy Chicken and Spinach Pasta. For one, it calls for jarred Alfredo Sauce. My family doesn’t like jarred sauces, but I can easily replace my homemade alfredo sauce for that. We also like Buitoni Alfredo Sauce, found in the deli section. The recipe calls for cooking fresh baby spinach and then adding a can of diced tomatoes with italian seasoning and the alfredo sauce. Hmmm, I’m the only one in my family who likes cooked tomatoes […I did mention that I have picky eaters, right?…]. I’m tempted to make the recipe, though, and see how it goes. If I’m the only one who likes it, I’ll take it to school for my lunches. I’m also not sure about the Greek Nachos. The recipe sounds delicious to me, and Mikayla will like them because she loves Greek salads. My family will raise some eyebrows, though, if I tell them we are having nachos for dinner. To them, that is an appetizer. I probably will make the nachos for a weekend movie night snack. eMeals also is offering a free Back-to-School Survival Guide with any purchase during the month of September. I downloaded the PDF file yesterday and headed to Walmart with my printed grocery list. This guide comes with 10 recipes to help cooks ease into the school year. It includes power breakfasts, lunchbox ideas, afternoon snacks, weeknight dinners, and a sweet treat. All the recipes look like ones my family will enjoy. So far, I’ve made a Tex-Mex dip, a trail mix, a grab-and-go breakfast, a crockpot chicken dinner, a casserole, a side salad, and a sinful cookie dough dip. My family raved about all the recipes! I am so excited about the convenience of eMeals. I will use the recipes as a base for my meal planning for the week, although I am sure that I will be making substitutions based on my family’s tastes. By the way, I signed up for a family meal plan for 3-6 people. With three teenagers, our family eats more than what is made in the recipes. My plan is to double the batches and have some leftovers for lunch the next day. If any readers are interested in trying the 30 Minute Meals — which looks like it would be awesome on those busy school nights — you can use the code SCHOOL through the end of September to get a 20 percent discount. Also, one lucky reader will win a three-month subscription to eMeals! Enter using the Rafflecopter link at the end of this post. 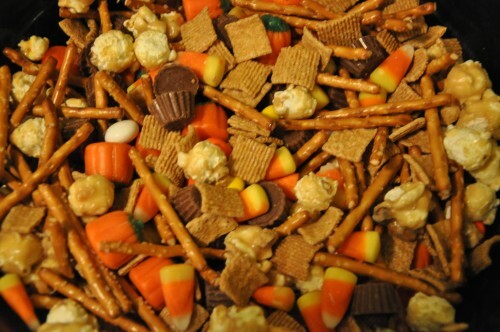 Mix ingredients together in a decorative bowl and it makes a delicious mix that your guests will LOVE. You can also put in cute bags or containers to send to teachers (hint hint) and neighbors. Cut enough black construction paper to cover label on both sides of orange Tic Tac container, fold and glue paper to the label. Make a bow and glue to the container. 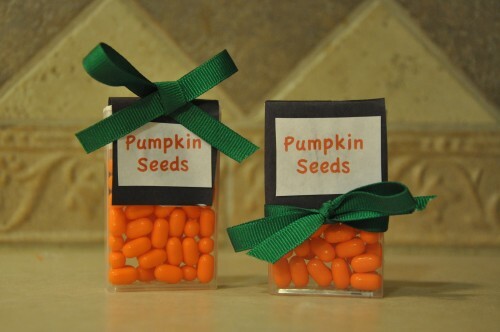 These make great party favors. Remove the soda label from the bottle. Wash off with warm water to remove all of the sticky residue from bottle. Dry completely. 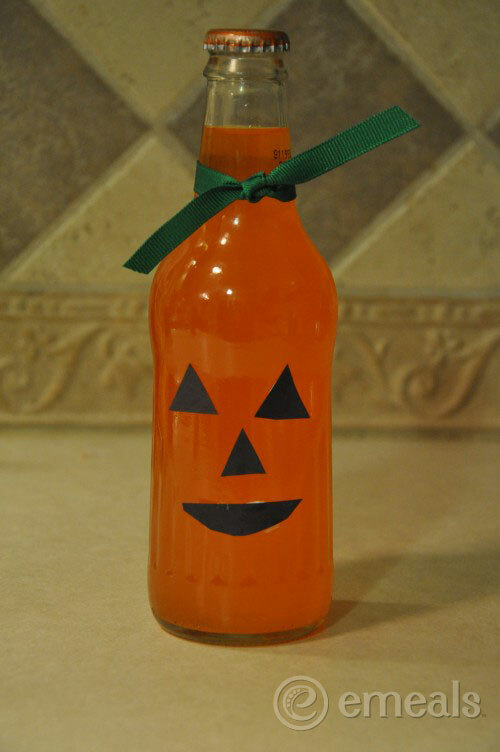 Decorate your pumpkin face on the front of the bottle and tie a green ribbon at the top. * I was given a free eMeals subscription. All opinions are my own. Click on the Rafflecopter link below to enter to win a three-month eMeals dinner subscription. Here is our Day 5 prompt: Post a picture of your classroom and describe what you see … and what you don’t see that you’d like to. One of the most exciting moments this summer was seeing my DonorsChoose.org project get funded for a classroom makeover, thanks to my parents and the Bill and Melinda Gates Foundation. Let me tell you, I was dancing in my living room! When the supplies arrive, I would like to meet with my students on a weekend and create a more homelike, less sterile environment for our classroom. There is a Classroom Cribs challenge going on now, inspired by the hit show MTV Cribs. The idea for the challenge is for teachers to rethink and redesign brain-friendly learning spaces for the new school year. Over 3,000 teachers have signed up. The deadline to enter is September 14, so I hope we can complete our makeover in time to participate. 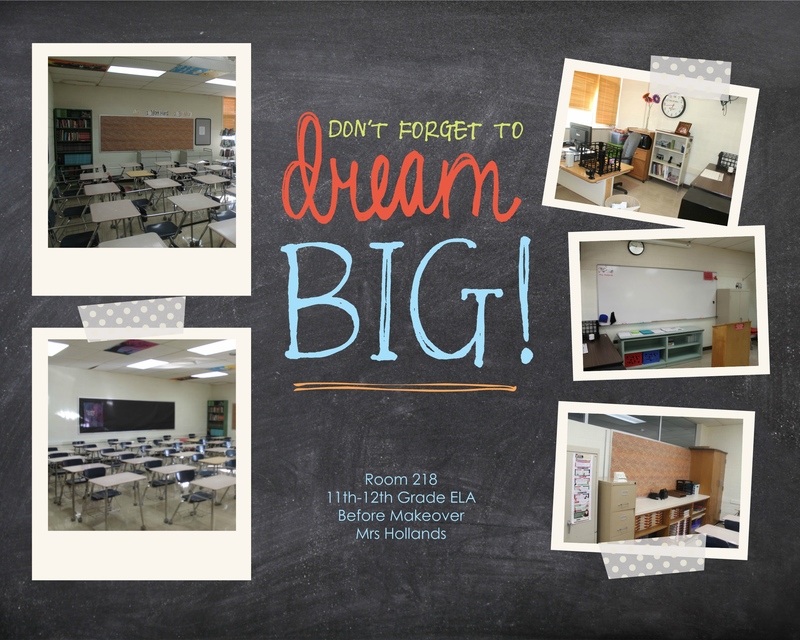 Last spring, I moved into a new classroom, Room 118. I transferred there from a middle school classroom, where I had only spent seven months. Before that, I had spent 11 years in Room 115 in the high school. I know it is odd, but I felt very attached to Room 115. For one, I liked it because it is about twice the size of a typical classroom. When I first saw my room in August 2001, I thought I had hit the jackpot. Not only was it the largest classroom in the school, it also had a computer lab, a sink, a full-length mirror where girls would check themselves between classes, and even a phone (which other classrooms didn’t have at the time). Another reason I felt attached to the room was because I spent so much time in there. I didn’t have the Internet at home in the early years, so I did a lot of my grading and lesson planning after school in that room. 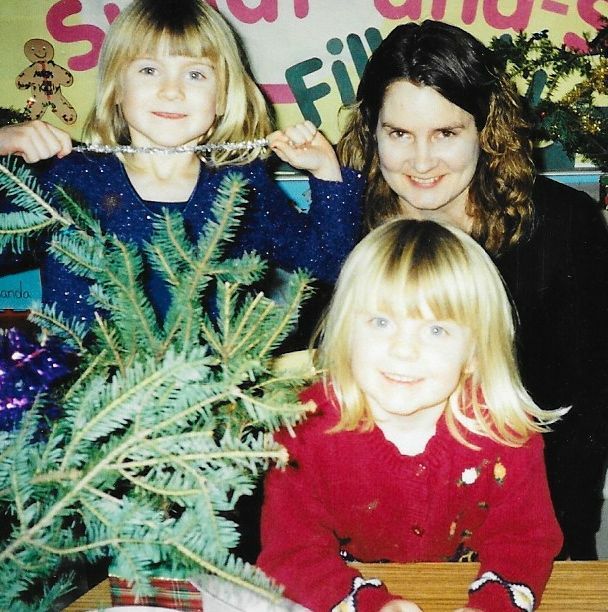 When I was hired, my daughters were four and two. They would bring their toys and play in the classroom while I finished my work for the day. They loved to dig papers out of the recycle bin and play school. When my daughters got older, they both became involved with sports. Because we live about 20 miles away from the school, I didn’t want to waste gas by driving back and forth after school for practices and games. While the girls were practicing, I would wait and work in my classroom. Oftentimes, I would bring a crockpot meal, and we would eat dinner there. It became our second home. The custodians told me that I spent more time at school than anyone else in the building. I didn’t have a lot of money to spend on decorating that classroom, but each year I would add one new item. The first year, it was my new ergonomic office chair to save my back from slumping. Then a framed print “Entre les Trous de la Memoire” by Dominique Appia (right). Another year, it was a checkered rug. One year I salvaged a bunch of blue and white painted wooden chairs from a local FinnFest event. Another year, I added IKEA paper lanterns. 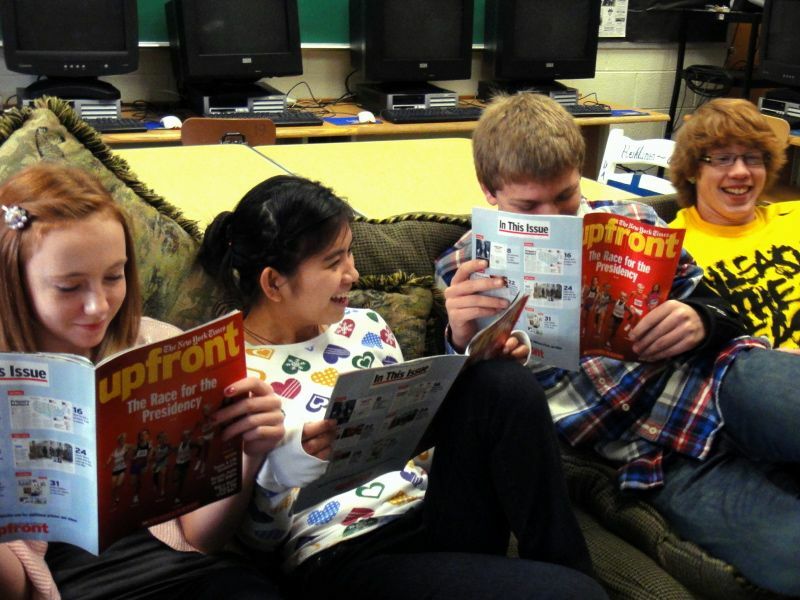 Many students told me over the years that they loved our comfortable, homey classroom. My students’ favorite addition was a comfortable couch that I picked up for $150 at St. Vincent de Paul. I went there specifically looking for a couch, and two men were carrying it into the store as I arrived. They told me it had been purchased new for a college student only a month earlier, but she decided to transfer to a different school and couldn’t take it with her. This couch was destined for our classroom. When I found out last year that I was going to be transferred to the middle school, I was excited to teach 6th and 7th grade, but I wanted so badly to stay in my classroom instead of moving to the middle school wing. Room 115 felt like a part of me and a part of my daughters’ childhoods. I wouldn’t even have room at the middle school for the students’ beloved couch. Not only that, but I would be moving away from Amy, who teaches in Room 116 across the hall. I cherished our chats between classes, during lunch, and after school. The one consolation I had about leaving Room 115 was that our English and French teacher Shannon Ruiz would move in there. She had been eyeing the classroom, knowing that it would offer much more space for her French Club activities. I was happy that someone who appreciated the room would inherit it. My new classroom, however, turned out to be pretty great. I loved that it had a dry erase board instead of a blackboard. It had a better sound system for showing videos, and it had a wall full of cupboards for storing books and supplies. Not only that, but it had a view of the football field. In the fall, my daughters went to football games, and I graded papers in my new classroom — breeze blowing through the window — while listening to the announcer and the cheers of excited fans. In April, I found out that I would be moving back to the high school, but into a different classroom. My student teacher was about to end her placement and graduate from college, and she would finish out the year in our middle school room. For that reason, I didn’t take most of my classroom decorations and supplies with me because our middle school students were still using them. I was happy to be back with my former high school students, but my new classroom didn’t feel like home. I started dreaming of a classroom makeover. My juniors last year would be in my class this year as seniors, so I ran the idea by them, and they loved it. We found some cheerful curtains, an area rug, frames, and more to add to a DonorsChoose.org classroom makeover project. I also added a new office chair, since the one I had bought over a decade ago sinks now every time I sit in it. For the beginning of this school year, I set up the classroom to be functional, but it has no personality or pizzaz. I’m waiting for the new decor to arrive so the students can put the room together and add their own touches to feel at home. I’m thinking about reclaiming the couch, too (sorry, Shannon). I am often reminded that many of my students come to school from sad home lives and go home to undesirable environments they cannot change. I want to give them a positive, safe place to learn in our room and to make their day a little brighter. The pictures at the top of this post are of my classroom before school started this year. Boring, right? Stay tuned for the makeover update. Here is our Day 4 prompt: What do you love the most about teaching? What I love most about my job is interacting with teenagers. When I tell people that I am a high school English teacher, they look at me like I’m cray cray […yes, I just said that…]. “I could never do your job,” they proclaim. “I wouldn’t have the patience to deal with teenagers all day!” To me, that is the best part. I never get bored. Teenagers are quirky, fun, weird, moody, dramatic….the list goes on. Despite their veneers — even the ones with the toughest exteriors — most teenagers are just kids looking for someone to like them. And I do. A lot. Sometimes my own teenage daughters will meet former students of mine in our small community. What do these Gwinn graduates say? 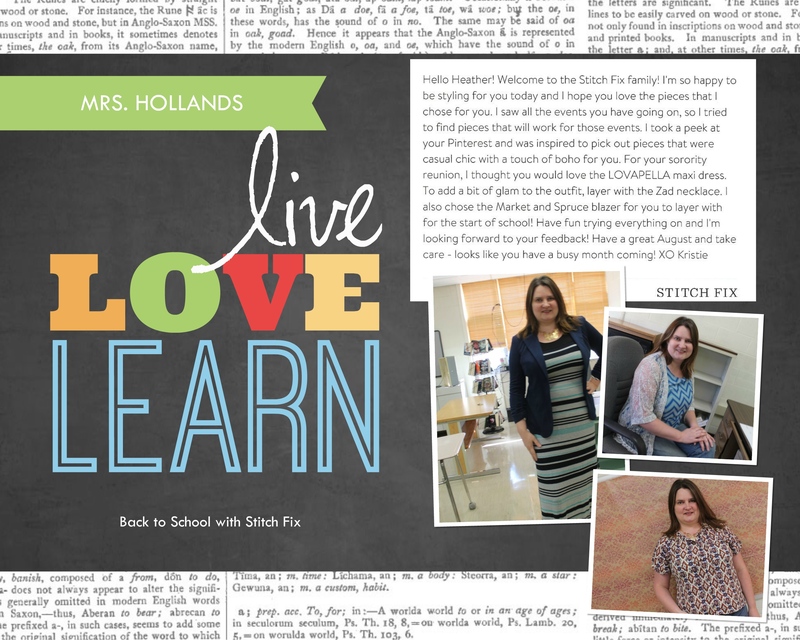 “Oh, Mrs. Hollands? Yeah, she liked me.” I’m glad I made them feel that way because many really struggle during their adolescent years and don’t always feel that same acceptance from others. Last week I saw a girl in TJ Maxx who was my student just this past year. “Do you remember me?” she asked. Huh? I had to laugh. I’m not that old yet! Sometimes I get e-mails from former students, and they say the same thing. “You might not remember me, but….” Of course I remember you! I remember where you sat, what you wrote about, and, for some, how you drove me crazy but I liked you anyways. Sometimes I run into young men who were mischievous boys in my class. They’ll give me a sheepish “I’ve really grown up since then!” It is neat to see how they have matured, and those kinds of comments always make me smile. The best part about being an English teacher is that I get to know my students on a deeper level through their writing. When you read a student’s writing for a year — and in my case longer since also I had my current seniors during their sophomore year and part of their junior year — it leaves an indelible fingerprint on your heart. I feel like I know my students better than most other adults in the school know them and even better than their peers do. I’ve often thought that if everyone at school could know each other the way that English teachers know each student, this would put a quick end to bullying. There are many wonderful jobs out there in the world, but I cannot think of one that would mean more to me than being entrusted with the care and education of my students. Even on those days when they drive me ‘cray cray,’ I know that I have the best job. Brevity is not my strong suit and my aim is to keep this short and sweet (but do not count on it). Even though I am having a difficult time keeping my eyes open writing has a way of jostling me awake. I currently have 140 students on my roster and it is no surprise that I am exhausted after trying to match, and surpass, my energy with theirs. It was humid today and during 3rd hour a sweet freshman girl said, “Mrs. Laitinen, you wore your hair down today and I just noticed how pretty it is.” By 5th hour one of my sophomores commented, “Wow, your hair is BIG today!” (If you are familiar with the TV show Friends, think Monica in the Barbados episode). Instead of feeling self-conscious, I embraced the crazy-English-teacher look that I like to think that my students adore. When I got home I had to giggle. 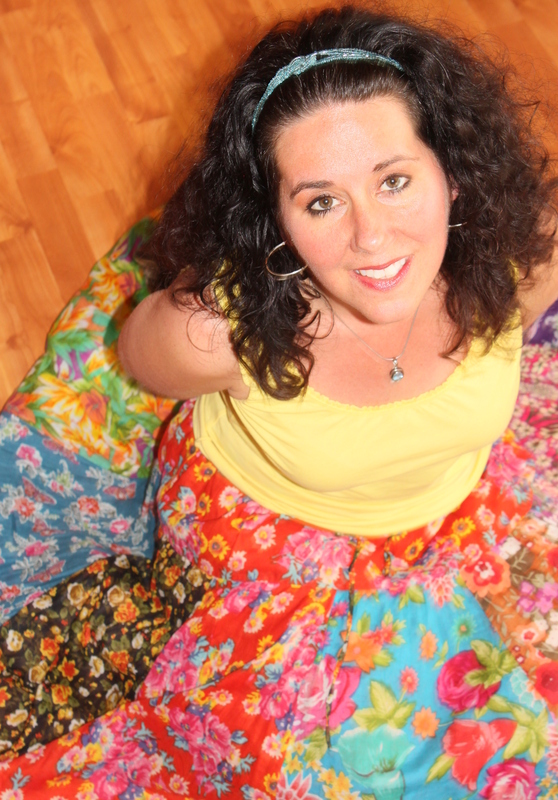 I was sporting a bright floral skirt, a bright yellow blouse, and a wild, voluminous, mass of curls! What do I love the most about teaching? The #1 reason that I love my career is that it allows my heart to be flint and issue forth a creative spark. When I became a teacher I promised myself that I would keep things fresh and never be a teacher who kept the copy-machine churning packets and worksheets. Each year and every hour has its own dynamic and is its own organic universe. I often have to change things up hour-by-hour to meet my students’ diverse learning needs. My teaching style is animated and theatrical (I am still waiting for my Oscar) and while I find it energy zapping – teaching is never boring. While I try my best to align my lessons with state and national content standards, I do not rely on canned lessons from text books. My curriculum does contain favorite lessons that I have developed a comfortable rhythm teaching. Yet, I try to develop new lessons to incorporate, add new pieces of literature, and try to bring current event examples into our discussions. As I began my planning for the school year, I realized that I will be teaching 9th grade students Romeo & Juliet, The Odyssey, and my custom poetry unit for the thirteenth year. Never have I taught these units completely the same and this year will be no exception. For the second year I will also be teaching 10th grade English and this gives me fresh material to work with (in past years I have also taught a section of 12th grade English) In addition, my creative writing class allows me to be less structured and I guide my students into discovering the storylines and verse that lives inside their imagination. With each year the generation gap in my classroom widens and I must continue to strive to make essential connections with my students. Each year my students’ insight, interactions with our lessons, and perspective on the concepts and ideas we explore help me to become a better teacher. My classroom is a place of growth and I am allowed to be a student right along with my spirited teenagers. My personality craves change and I would not do well in a field where I was confined to a desk and an office. I love that I can move around my room (and I wish that my students could too…more about this tomorrow). My teaching practice is in a constant state of flux and I enjoy that it is not static. I strive to come up with compelling lessons that engage my students and help them think more critically (while I am still a work in progress…I do have some success stories). Teaching is a challenge – it keeps my mind moving and my creativity vibrating. To end my ramble, I thought I would share links to past blog posts that are examples of how teaching keeps my creative battery charged. My students inspire me and it fills me with joy that I can help them find and flex their voices and imagination by discussions, reading, writing, group and individual projects, and presentations. My dad always told my brother and me to find jobs that we love, because then our careers would not feel like work. Teaching can be frustrating, exhausting, and confusing at times – but when the creative connections fly in the classroom – the spark is pure magic. I love being a teacher! 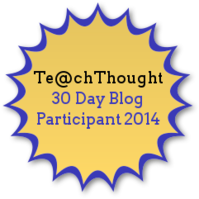 So, here is our Day 2 prompt: Write about one piece of technology that you would like to try this year, and why. You might also write about what you’re hoping to see out of this edtech integration. My response to today’s prompt piggybacks on yesterday’s prompt about what my goals are for the coming year. While I cannot wait to read other responses to technology (to learn more) I admit that I am a bit out of the technology loop and would really benefit from the opportunity to attend an education conference with a technology focus – or technology sessions. Heather and I share a wish that we will be able to attend a blogging conference because we would enjoy increasing our blogging knowledge base and expand our craft. Sadly, with limited funds (in our district and our own personal bank accounts) the chance of this happening is slim. Yet, we can still hope and dream! Perhaps someone will stumble across our little blog and lavish us with technology opportunities. We love learning how to be more digitally literate and connecting with other teachers helps us to feel less isolated. (One of the opportunity costs of living in the rural Upper Peninsula of Michigan). While I try to use technology in my classroom, I do have limited resources at my fingertips. I have a DonorsChoose.org project posted for a new projector (the one in my classroom is ancient) and a project posted for a MacBook Pro. My creative writing students create digital stories and it would be fantastic if they were able to use the computer for their projects. Putting together digital storytelling kits that would include a camera, computer, microphone, and other resources for my students to check out is a fantasy of mine. My technology goal for this year is not grand, but it is very important. Every year I start out the school year with the best intentions to send home at least one handwritten note for each student that focuses on a positive about their behavior that I have observed. I ask the secretary to print out address labels so I can attach them to note cards. While I love the idea of this form of parent contact – without fail I get bogged down by the beautiful chaos of teaching and year-after-year manage to only send a handful of notes home. So this year I have decided to simplify the process and commit to sending one email each day during my prep period to a parent or guardian that highlights something positive about their teenager. I will still acquire address labels – because I believe in the power of a handwritten note. Email may not be as personal but it will make it easier to dash off a message. After all, I have my student contacts readily available in our grade program. I am hoping is that the daily emails will be a constant reminder to focus on the positive and will serve as a memory trigger to pop a few handwritten notes in the mail each week. I have printed out my rosters and am ready to start crossing off the names! Here is a link to my DonorsChoose.org page if you, or someone you know would be interested in donating. If you are new to DonorsChoose.org and want to learn more check out this post by Heather. Today was a successful first day of class, albeit a whirlwind. I enjoyed seeing the seniors again and hearing about their summers, and the juniors proved themselves to be an energetic bunch. Each year I am amazed on the first day of school that we teachers do our thing in front of large groups of teenagers for five class periods in a day. My body takes a couple of weeks to adjust to the surges of adrenaline. I feel so exhausted tonight that I can barely focus my eyes the computer screen let alone focus my mind on new ways to use technology in the classroom. I do have one plan in mind, though, for using technology to increase homework turn-in rates. The tech tool that I plan on using this year is Remind. Remind is a free service for teachers to send messages to students and parents. It makes staying in touch with the class easier and keeps the teacher’s phone number private. There are many ways for teachers to use Remind. I would start by sending reminders about upcoming homework assignments and tests. I also would like to use Remind to send students kudos when they do great work. My goal this year is to create a caring classroom, and I will explore ways that I can use Remind to help me reach my students in a positive way. Here is a link that provides 10 ways to start using Remind. If you have other suggestions as to how I could use this tool to improve communication with my upperclassmen, please let me know. You might also want to check out our responses to the Day 1 Reflective Teaching question. School begins tomorrow, and we have decided to participate in Reflective Teaching: A 30 Day Blogging Challenge for Teachers. This challenge was created by Te@chThought, and the daily prompts can be found here: Reflective Teaching questions. We encourage any teachers to join us in this challenge. Your responses do not have to be lengthy; a paragraph or two would suffice. So, here is our Day 1 prompt: Write your goals for the new year. Be as specific or abstract as you’d like to be! In January of 2014 I started a food blog that focuses on plant-based meals called Produce with Amy. Cooking is one of my passions and I am thrilled that my blog has a wide readership and I love the creativity of coming up with new recipes. Yet, I have missed writing with my best friend. Heather and I have had the best of intentions for the past year to start posting on Blended Voices again. It is impossible to count how many times our voices would echo in passing, “We have to start blogging.” Yet, it never happened. Why? Maybe we needed some time to energize and focus. Maybe when Heather got transferred to the middle school we lost our Hamy balance. Regardless, this blogging challenge could not have arrived at a more perfect time. We believe in the Writing Project model that teachers of writing should also write. As an educator, I am constantly asking my students to be reflective. I ask them to reflect on themselves as a student, a teenager, an American, and a human being. I ask them to reflect on themselves as a reader and writer – in writing. That is why I feel that my #1 goal as a teacher is to model myself as a writer to my students. What better way to do this than through blogging? Thank you to Payton for this burst of confirmation and for helping to fuel and energize my writing. I want my students to know that I believe in the lessons that I teach and writing helps me connect with them in a profound way. I am constantly telling my students that our writing is our fingerprint, a time capsule, and a way to chart our personal and professional growth. Writing makes our thoughts tangible. As I begin my thirteenth year in the classroom I know that I can grow leaps and bounds by reflecting on my classroom practice and hopefully Blended Voices will not only help our students to see Heather and I and themselves as writers – but maybe we will encourage other educators to join the blogging community. It feels good to be posting again and I know that collaborating with Heather will breathe life into our classrooms and nourish our creativity. Thank you to teach@thought for encouraging us to reflect, share, and connect with other teachers. Thank you to Paula Diedrich, our Northern Shores Writing Project co-director for sharing the challenge link and asking us to join in. It would have been easy to forget our pledge to start blogging together in the hustle of the new school year. Because of our recommitment to our blog we will view our world with a different perspective. Every lesson and moment becomes a potential blog topic. We will be more aware of incorporating digital writing in our classrooms and our students will benefit from being readily engaged in digital literacy. We will record our voices together. Ready. Set. Go. If I boil down all of my thoughts, dreams, and plans for this school year into just one goal, it is to be a caring teacher. This means to create a classroom environment where students know they are valued individually, supported academically, and encouraged to learn and to create. Not only do I want to help my juniors and seniors improve their skills in reading, writing, listening, and speaking (the academic side), I also want my students to know that they matter (the human side). To me, building those relationships is even more difficult than teaching the subject matter. This ability is what separates a good teacher from a great teacher. I have found these connections to be easier to make in certain classes that I have taught such as A.P. 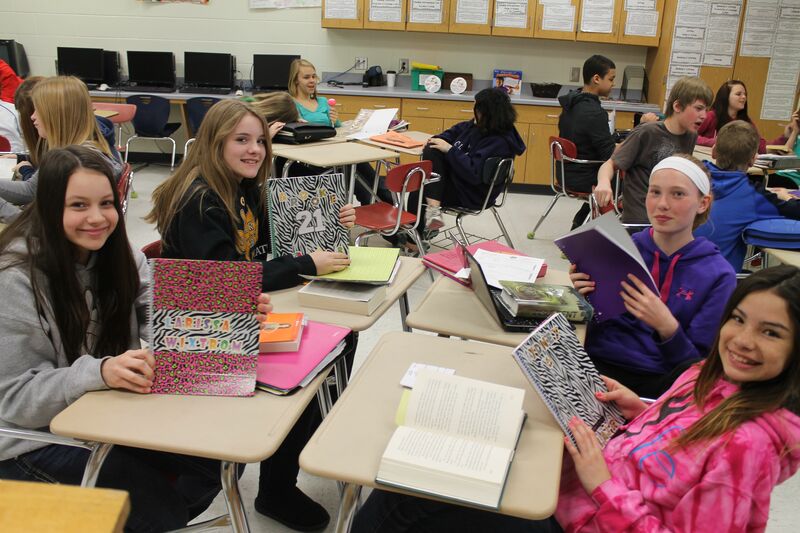 English and Yearbook, where I have had the opportunity to get to know students on deeper levels. 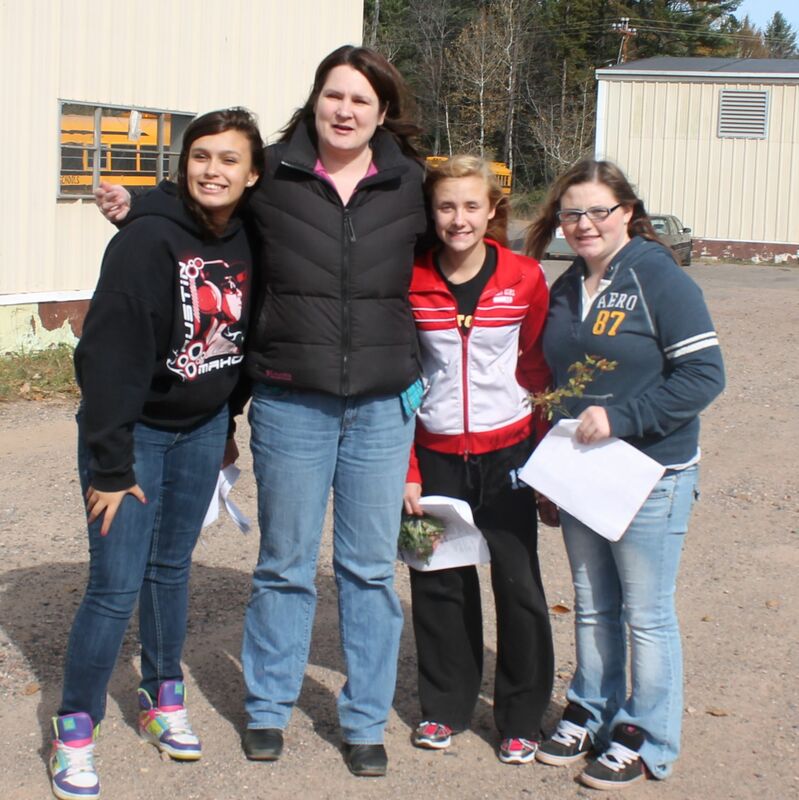 Also, those were classes that students chose to take rather than had to take to meet the graduation requirement. In a general English class, I usually have large class sizes, a wide variety of learning styles, abilities, and maturity levels, and a range of emotions from students about reading and writing. I find it easy to get caught up in the every day rush of delivering lessons and grading papers, and too often I let those moments slip where I could make individual connections. My goal this year is to take advantage of every opportunity to let students know that I care. To start the school year, I am going to invite students to help set up the classroom. I spent the summer entering contests and submitting DonorsChoose.org projects to make our classroom a more friendly teen environment. For example, I will be getting curtains, a rug, plants, and much more to make the classroom feel like a homey space. I also have new books for the classroom library that appeal to teen readers. Students will be invited to join me on a weekend in early September to create a welcoming space where hopefully they will feel excited to learn each day. Brooke and I in our classroom. The students adored her. Another plan I have is to keep my classroom door open to students. In years past, I usually spent my lunch hour making copies, grading papers, planning lessons, responding to emails, etc. Last year I had the privilege of mentoring a student teacher, Ms. Brooke Backhaus, who encouraged our middle school students to eat lunch with us. Yes, it was noisy, and, yes, we had to listen to Miley Cyrus every day, but I loved watching the bonds form between her and the students, as well as watching thee students build deeper friendships with each other. This year, my daughters are invited to eat in my classroom with me, and so are any other students who want to join us in a safe and comfortable space. Amy and I have decided we would like to ‘nurture and nourish’ students together (as she put it) now that we have the same lunch hour again. Some students I had as eighth graders that I can reconnect with as sophomores. Amy and I also have signed up to be class advisers for the sophomore class. This means we will be planning prom for next year, and we will have lots of fundraising to do. This is another opportunity to make connections with students, and I look forward to getting to know the sophomores better through float building, hall decorating, and all those other fun activities that come with being a class advisor. In order to accomplish my goal, I believe I will need to slow the pace, look for the small moments, be a good listener, and share my passions. I would love to hear from other teachers what tips you have for creating a caring classroom, and I would love to hear from other readers what certain teachers have done to show you that they care and that you matter. Why Do Teachers and Students Love DonorsChoose.org? **Enter the giveaway by clicking on the graphic above or on the Rafflecopter link at the end of this post. The first time our new electric pencil sharpener is used in class. ‘Back to school’ is a phrase filled with hope … hope for opportunities to learn, to make friends, and to take one step closer to a bright future. Since my first day of kindergarten, I have loved organizing my new school supplies, hearing the shave of the sharpener on a wooden pencil, and seeing the reflection of my outfit in the gloss of the hallway floors. Decades later, as a parent and a teacher, the back-to-school anticipation still gives me that thrill. With all the promise that a new school year brings, however, it also can bring financial strain to families and teachers. My wish is that no one would have to start the school year with worries about how to pay for it all. The organization DonorsChoose.org helps to lessen that burden for those of us in public schools. Would you look for your reflection in the shine of my classroom floors? The tennis balls prevent scuffing. What Is This Organization That Helps Schools? DonorsChoose.org is an online charity that makes it easy for anyone who wants to help teachers and students get the supplies they need for the classroom. Teachers post projects on the DonorsChoose.org website, and donors can choose which projects to support. Donors can give any amount (from a dollar on up) toward whichever projects inspire them. All donors receive pictures on the DonorsChoose.org website of the students with their materials and an impact letter from the teacher. 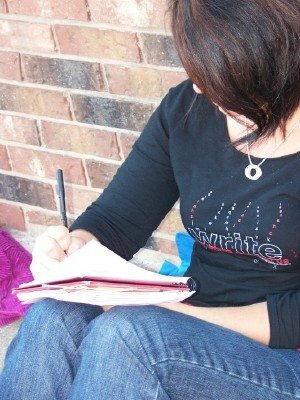 Donors who contribute $50 or more can opt to have students write them personal thank you letters. Please take two minutes to watch this video about DonorsChoose.org. It explains what the philanthropy is about better than I could do. My classroom library is stocked with engaging books for teens, thanks to generous donors. I first learned about DonorsChoose.org in August 2011 when my teacher friend Briana Bancroft told me about the success she had in getting projects funded for her elementary school classroom. Over the years, I had applied for many grants and donations through various organizations; however, with limited funding from the organizations and lots of applications from eager teachers, it was hit or miss (mostly miss). Although I was skeptical, I figured that it couldn’t hurt to try. The first project I submitted to DonorsChoose.org — “Engaging Reading for Teens: We Can’t Put These Books Down” — requested 42 books for literature circles. Eleven days later, I received an email saying, “Congratulations! Your project is fully funded.” When I saw the message, I was at the library checking my e-mail, and it took just about everything I had not to jump up and celebrate right there. It is a huge deal to my students to have access to engaging books. Our school library, which is only open one day a week, only gets new books through the Scholastic Book Fairs held at our school. Because new books are not readily available to our students, it is especially important for me to be able to hand a student a book like John Green’s The Fault in Our Stars or Paolo Bacigalupi’s The Ship Breaker that I know will make them want to keep reading. Technology is donated, too. Students enjoy using e-readers. After getting that first project funded, I wondered if I might have more success. I decided to post a technology project for an e-reader in the classroom. Less than a month later, a NOOK was on its way. Over the next two years, my class continued to get every project funded that we posted. To date, we have had 35 projects funded for our classroom, including the donations of expensive technology such as an iPad, a MacBook Air, a Canon Digital Rebel SLR camera kit, and an Epson document camera. How Much Do Families Spend on School Supplies and Activities? Students check out new classroom supplies on the first day of school. Here are some statistics. The 2014 Huntington Backpack Index issued by Huntington Bank shows that on average parents will end up paying this much in back-to-school costs: $642 per elementary student; $918 per middle school student; and $1,284 per high school student. According to the study, these costs have increased dramatically over the past several years at a rate much higher than general inflation — up to a 20 percent increase just since last year. Click on the graphic, courtesy of Huntington Bank, to find out more details about the 2014 Backpack Index. It’s a study with interesting results. If you have children in band, much of the cost comes from instrument rentals. There are sports fees, Advanced Placement test costs, and more that we might not automatically consider but that do add up quickly. Technology demands increase, too. The cost of a flash drive, for example, has been added to the total. How Much Do Teachers Spend of Their Own Money on Classroom Supplies? Hmmm … Let Me Think About That … Too Much! How many of you spend a lot of your own money on supplies that you need for work? In most professions, the items that you need to do your job are typically provided for you. In the teaching profession, however, that is not always the case. A friend shared a meme on my Facebook wall that says, “Teaching: The only profession where you steal supplies from home.” That rings too true. Here are more statistics. According to a 2013 National School Supply and Equipment Association (NSSEA) Retail Market Awareness Study in which 398 teachers were surveyed, teachers said they spent on average $945 on materials for their classrooms. About half of that was paid for through the schools, but teachers reported spending on average $485 of their personal income on school supplies in the 2012-13 school year. This totaled $1.6 billion that teachers spent out of their own pockets. A full 99.5 percent of teachers reported spending their own money on school supplies, instructional materials, and other classroom materials (tissues, clean-up wipes, etc). Now that I am able to save money through DonorsChoose.org on school supply shopping for the classroom, I can focus more on my own family’s back-to-school needs. Here, my daughter Mackenzie enjoys some clothes shopping at the Mall of America in Bloomington, Minnesota. When I think about new ideas for DonorsChoose.org projects, I often check the organization’s Partner Funding Opportunities page. Companies will partner with DonorsChoose.org to offer “Double Your Impact” funding, which is when they will pay for 50 percent of your project costs if it meets their criteria. An example of one of the Double Your Impact offers that I sought was ABC Family’s “Bright Student, Big Ideas” campaign. ABC Family asked teachers to submit a project idea developed by the students. I had my English 10 students get into small groups and brainstorm ideas of what they’d like to do. Then I compiled all the suggestions and had the students vote on their top pick. It turns out they wanted to do a Poetry Cafe. Their idea was to read poetry, write their own poems, bind their poems into individual books, and then — the part they most looked forward to — host a Poetry Cafe in which they would share their poems. What excited them the most was that they wanted to request a Keurig coffee machine and order a variety of coffees, hot chocolate, apple cider and teas. The beauty of DonorsChoose.org is that it encourages creativity. Some might say teachers only should submit projects for basic needs such as paper and pencils. However, the name ‘Donors Choose’ comes from the idea that the donors can pick which kinds of projects they want to support. Some donors prefer to fund projects requesting essential needs, and others look for projects with those special, creative touches. Because the students really wanted this coffee maker for their poetry event, I decided to support them in trying. If drinking a cup of coffee gets a student excited about writing poems, then I’m all for it! In the project, the students developed a request for 19 poetry books, a digital voice recorder, a microphone and stand, a spotlight, a coffee maker and coffee, and colored card stock to make their poetry books. We kept our fingers crossed, and one month later the project was funded. 2. Show passion. In the project proposals, share what your students are like and why this project is important to them. If you are excited about the project, your donors will be too. 3. Share your project. Post it on Facebook. Get your students to talk about it with parents. Tweet or e-mail your project ideas. I get donations from philanthropic citizens around the country, but I also have friends and family who support my projects. When you have several friends each give $5 to a project, that helps a lot. I support many other teachers’ projects, too, by giving a dollar here and there through giving pages that I find on Facebook. We just wanted to thank you for putting together such nice feedback for “Poetry Cafe: A Student-Led Writing Project with ABC Family” You can be confident that your feedback inspired contributions to more classrooms. We deeply appreciate your effort and have noted what great feedback you put together. Elementary school students listen intently to this sophomore’s children’s story. She beautifully painted her illustrations with watercolors. After getting the exciting news that my students’ Poetry Cafe project was funded, I received a voice mail from DonorsChoose.org encouraging me to submit another student project for ABC Family funding. 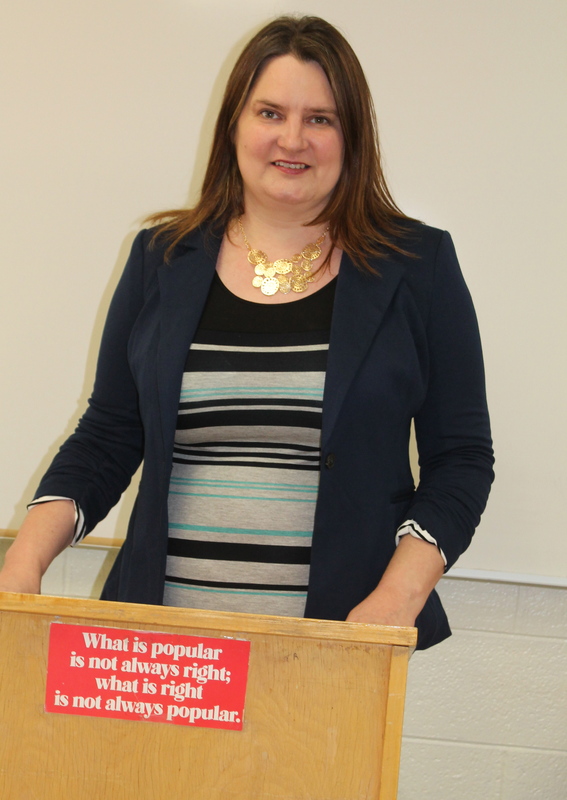 In the message, I also was encouraged to spread the word to other teachers. This was good timing because many of my students had their hearts set on a second project. They wanted to study the craft of writing children’s books, write and illustrate books of their own, and then share their books with elementary school students. We didn’t need a lot of supplies for this project because I already had a comb binder for their books. They suggested that we order a good camera for the classroom; up to that point we had been using my daughter’s point-and-shoot camera. The students said they wanted to laminate the pages as well as the cover, so we also ordered some rolls of lamination plastic. This turned out to be one of the best projects we ever did in my class. I was so impressed with the quality of work that the students put in while creating their books, and many parents commented on how the books would be keepsakes in their families. I learned a valuable lesson from the poetry and children’s book projects that if you involve students in the planning process that they will get engaged and throw their full effort into the unit. This is when you see their incredible creativity and passion. By the way, I did tell two other teachers about the ABC Family campaign. They both submitted projects and got them funded. These teachers have had many more projects funded since that time. The blessings continue to spread, and that’s why I like to share what I know about DonorsChoose.org. Please check out the DonorsChoose.org website at the link below. Also, go see my personal teacher page on the DonorsChoose.org website. Teachers, feel free to borrow ideas from my past or present projects. I am giving away a $25 DonorsChoose.org gift card (courtesy of DonorsChoose.org) to one lucky reader who comments here about what you love about back-to-school time. You can apply the gift card to any project of your choice. A random winner will be drawn via Rafflecopter. Also, to help spread the word about DonorsChoose.org, please like and share this post on Facebook, tweet the link, and/or pin the contest image on the top of the page on Pinterest. Also, please follow this blog if you are interested. Thank you! Good luck! With a new school year starting, I’ve been thinking a lot about what units I’m going to teach now that I have 11th and 12th graders, how I’m going to organize my classroom, and what I’m going to wear. 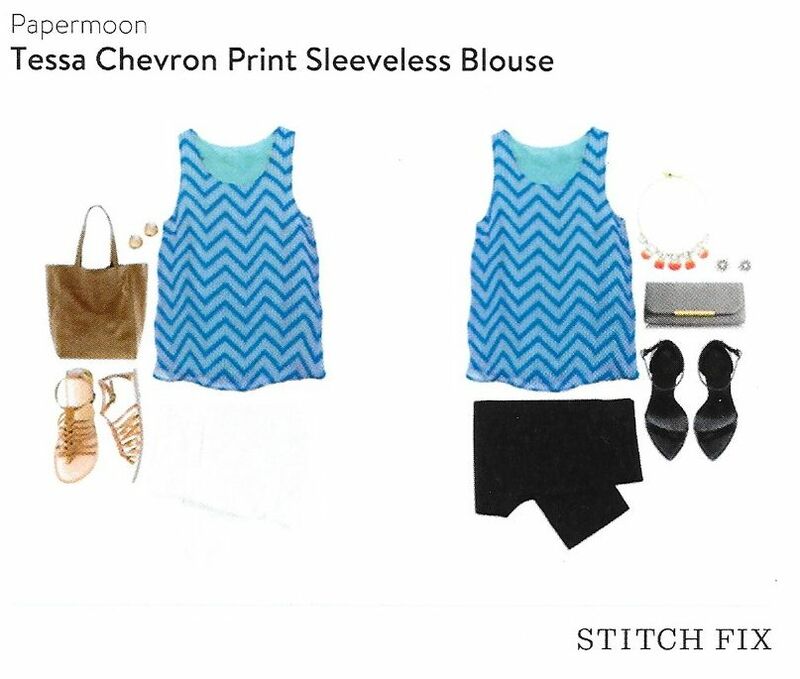 I’ve had the wardrobe blahs, so when I recently heard about Stitch Fix — an online personal styling service — I became curious. 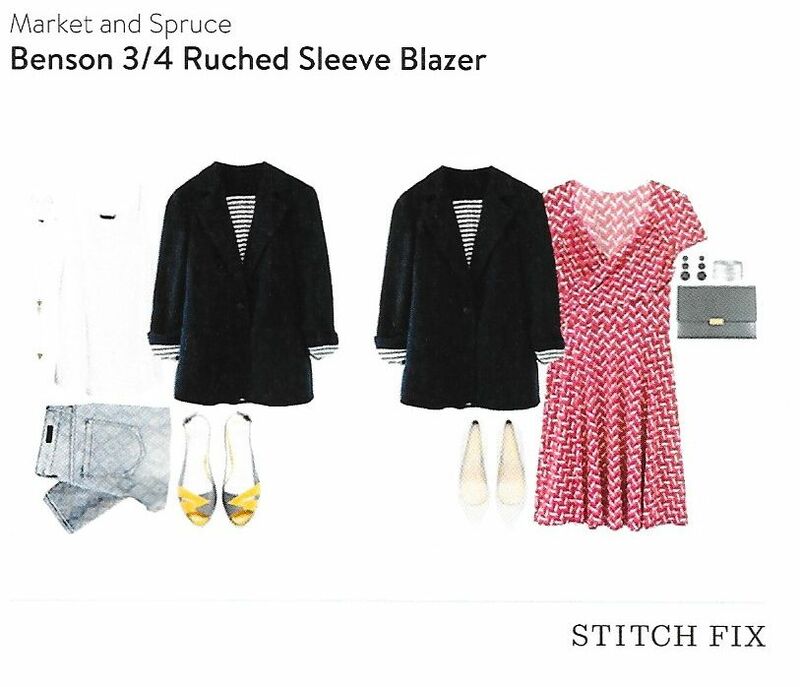 The first step I took was to fill out a Stitch Fix Style Profile. I like casual clothes, and I also am drawn to some of the boho trends. It costs $20 to have a personal stylist handpick five clothing items and accessories to match your unique style. That $20 is applied to your first purchase. I also filled out some information about what upcoming events I will be attending. I have lots of get-togethers this month, but mostly I am looking for clothes to wear for the start of school. Another step I took to help my stylist Kristie get to know my tastes was to start a style board on Pinterest. Searching for and pinning fashion pics helped me to see what styles I gravitate toward and to become more aware of what types of pieces I would like to add to my wardrobe. When my box arrived […did I mention I love getting surprises in the mail?…] I was so excited that I forgot to take a picture of the package before I opened it. The items inside were neatly wrapped with white tissue paper secured with a Stitch Fix sticker, but…yeah…I tore through that before snapping pictures, too! My stylist chose a maxi dress, a blazer, a short sleeve blouse, a sleeveless blouse, and a necklace. 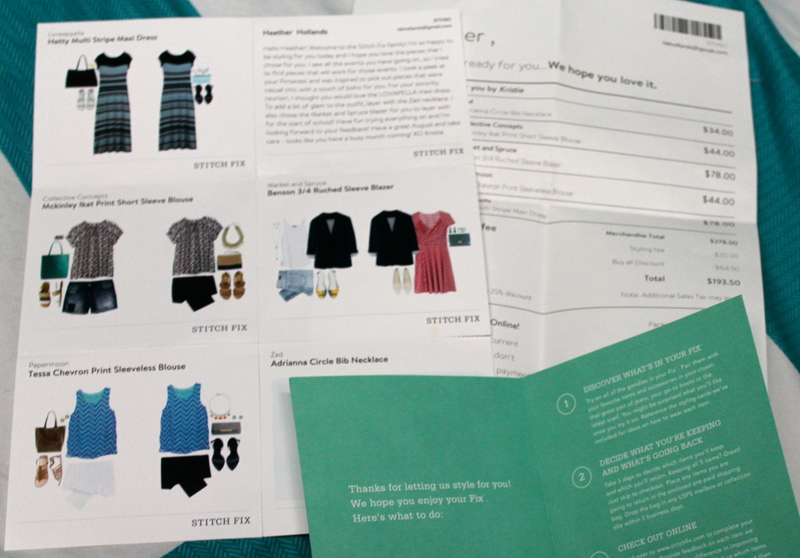 Included in the fix are style cards, which offer ideas on how to wear the clothing. Let’s peek at my fix! 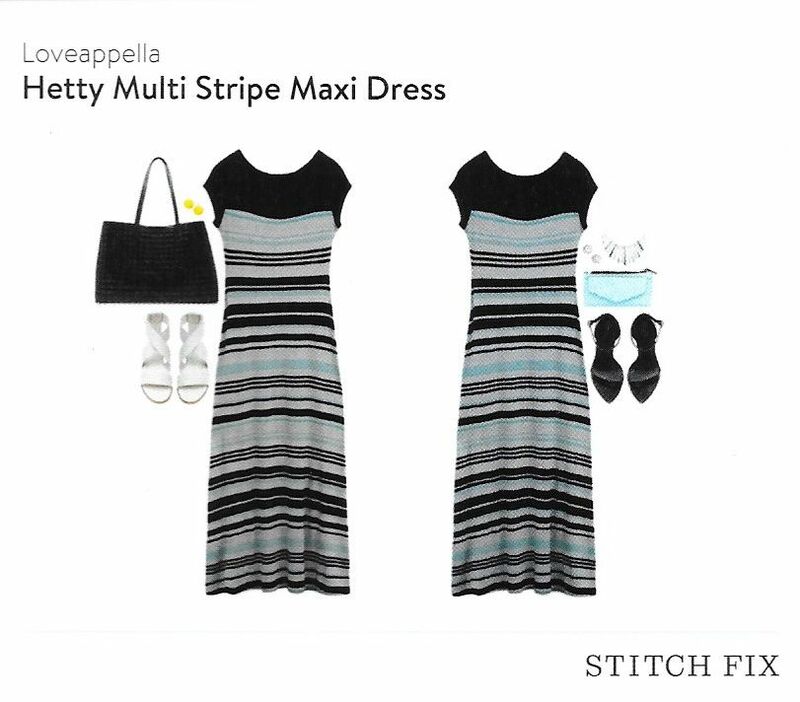 I was excited to receive the maxi dress, which can be worn in the summer but also transitions to other seasons by adding a blazer, denim jacket, or cardigan. I thought it might work well for a writing marathon I will be participating in with my Writing Project friends. We will be traveling to different locations in our county to write and to share in celebration of the retirement of three of our teacher friends. The dress suits my casual style and features colors that I like. It also fits. Kristie added this blazer for me to layer for the start of school. I like the stripe detail on the cuffs. While I like the style, the blazer is too tight on the sleeves for me. I wouldn’t be able to lift my arms comfortably to write on the dry erase board. I love the ikat pattern and the versatility of this blouse, which can be paired with denim shorts in the summer and dressed up with a blazer during the school year. I really want this top to fit, but I have a long torso. When I lift up my arms, the blouse is a tad short. Darn! What I like about this top is that it is the perfect length for me. Some might say chevron is overdone, but I am drawn to the crisp colors and lines. I like the pairing of the orange necklace with this top in the style card. The problem is that the blouse doesn’t fit right across the chest. It wants to bunch up, and then the liner hangs lower than the outer layer. Another sizing fail. The good news about getting accessories in your fix is that they will fit. I requested not to receive earrings because my ears are sensitive. I also requested no handbags because I have enough for now. 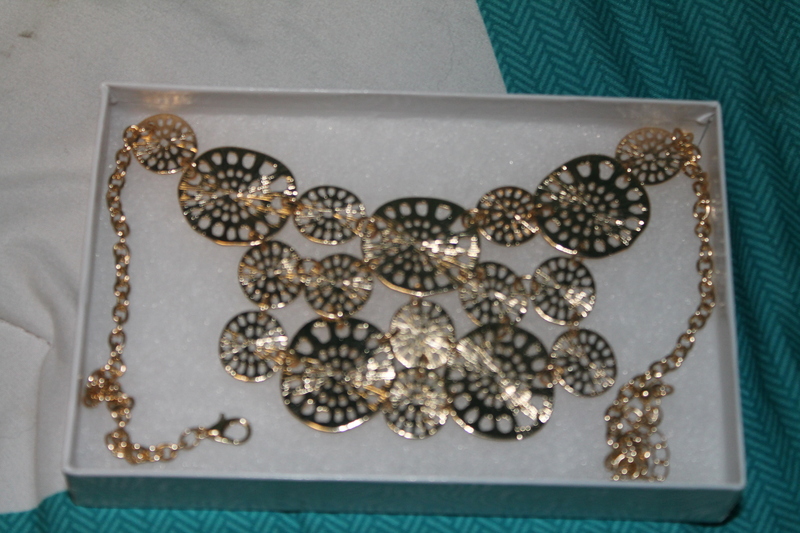 This necklace doesn’t have the ‘wow’ factor I was hoping for, but then again it is fun and goes with many outfits. I get three days to decide what to keep and what to return. If I were to keep all five items, I would get a 25 percent discount. The total would be $193.50. Any items that I decide to return can be placed in the enclosed pre-paid shipping bag. Also, I can schedule my next fix if I decide to get one, or I can choose to have them shipped automatically every 2-3 weeks, every month, or every other month. Overall, I thought it was a lot of fun to have a stylist pick out items for me. Kristie did a great job choosing styles that I love. I just wish I would fit into the sizes that I said I wear! 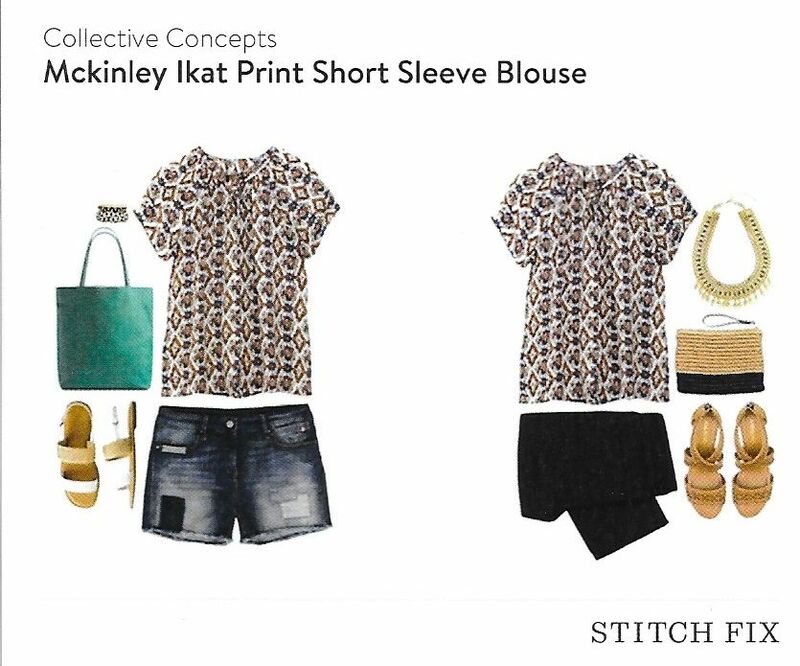 I’d like to slim down a bit before I try Stitch Fix again. Also, the prices were higher than I usually pay for my clothing … I admit, I love to find a clearance rack bargain! Most teachers I know like to stretch the clothing dollars. When filling out the Style Profile and when providing feedback on the items which were sent, you do have the opportunity to specify your budget and to say whether the prices are in line with that. 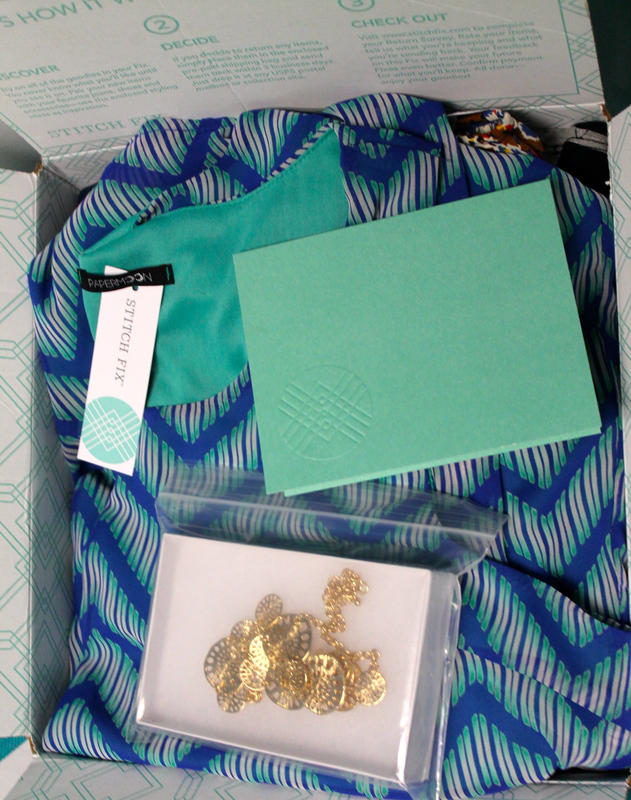 I can receive a $25 Stitch Fix credit for each friend who gets her first fix, so *pretty* please remember to use the referral link. Yes, more clothes! Here’s to thriving this school year and to having a stylish start. 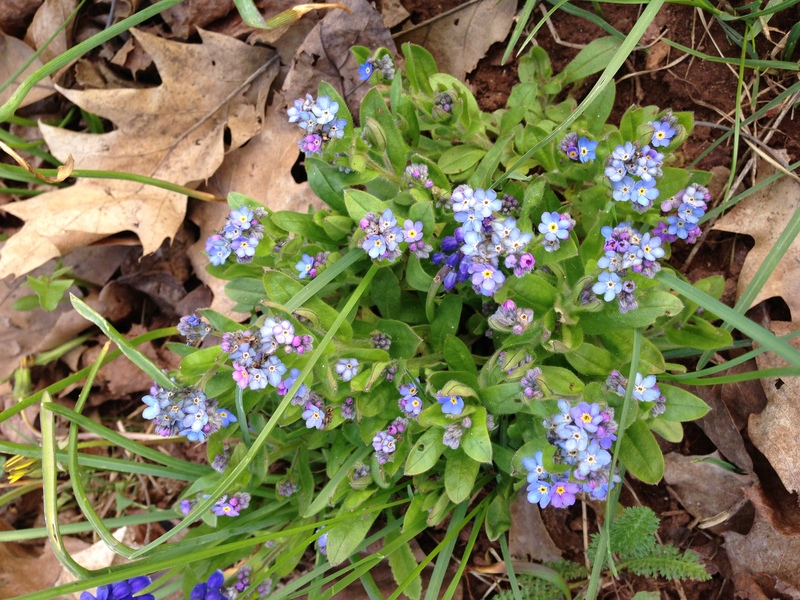 Forget-Me-Nots blooming in the Upper Peninsula of Michigan. The end of the school year has arrived and the Gwinn High School seniors took their long-awaited walk across the stage yesterday and accepted their diplomas. As a teacher this is a bittersweet time of the year as I feel a crushing wave of emotions overtake me. While I am immensely filled with pride, I will miss so many of the seniors dearly. Austin LeMoine is one of those students. I distinctly remember Austin entering my 9th grade English classroom. He had a spark for creativity and I will never forget the canvas he hauled into class for a visual aide. It was a painting of Medusa that he crafted for his Greek mythology presentation. Over the past four years I have watched as Austin took brave and courageous steps to let his voice be heard. He is still a sweet, and sometimes shy boy, but he is also fiercely loyal and determined. In July, Austin will begin taking courses at The Art Institute of Chicago. I eagerly await to see the projects he works on and the instrument of change that his art will become. He is extremely talented and his visual art and writing shines with brilliance. Last year, Austin created a digital poem in memory of his cousin Olivia. Olivia LeMoine was a senior at Marquette High School when she passed away. I got to thinking that Memorial Day was a fitting day to share Austin’s tribute. Though, as we all know, when we lose someone we love — every day is Memorial Day. Austin and his family are in my thoughts and I hope that Austin’s digital poem continues to promote healing. Austin, thank you for teaching me so many lessons throughout the years and thank you for letting me share this story with others. I love you, Austin. Best of luck as you continue to reach for your dreams. 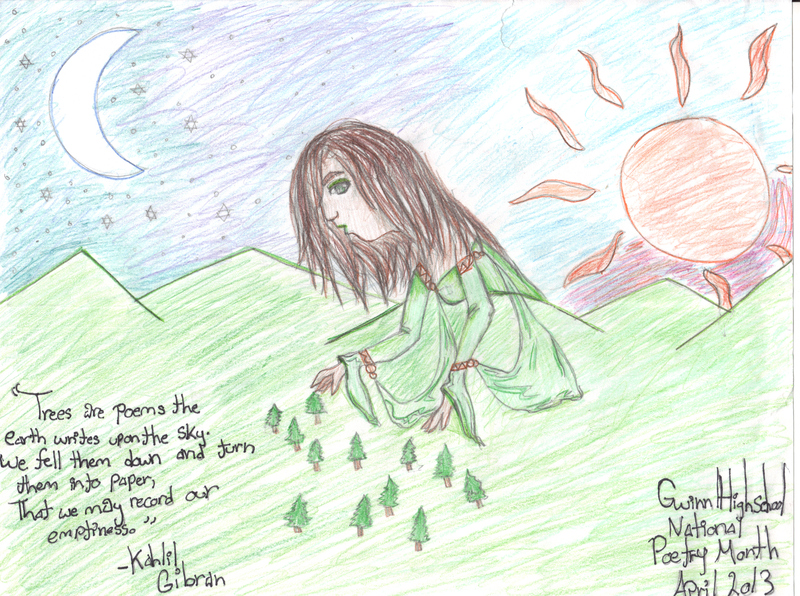 National Poetry Month has me in a blogging frenzy. 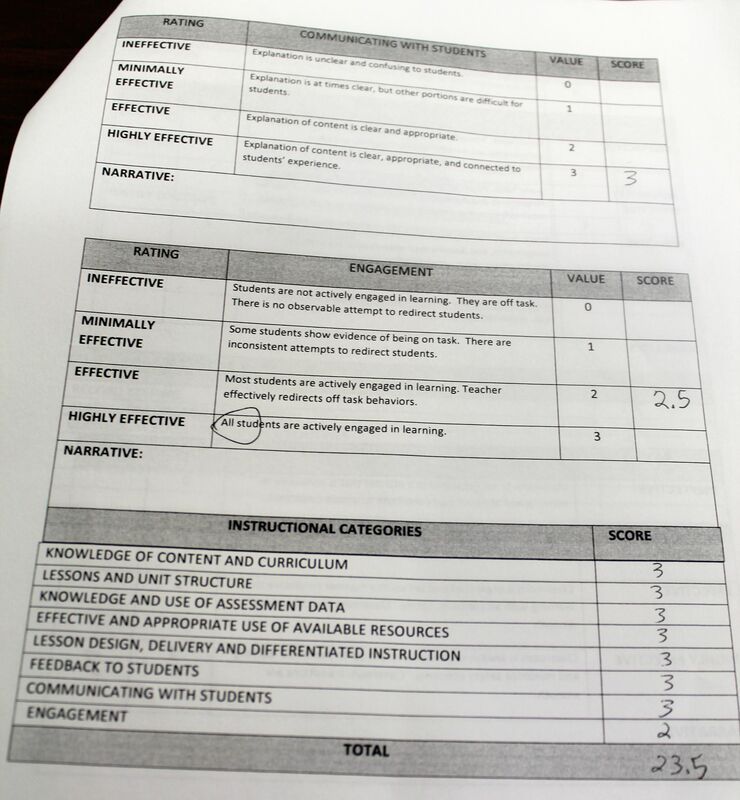 I promised my students that I would highlight their work in April and I am determined to make well on my word. My creative writing class is a full year course. Semester one is compromised of fiction and the second semester we focus on poetry. However, as many writers will confess, there is often a blurry line between genres. 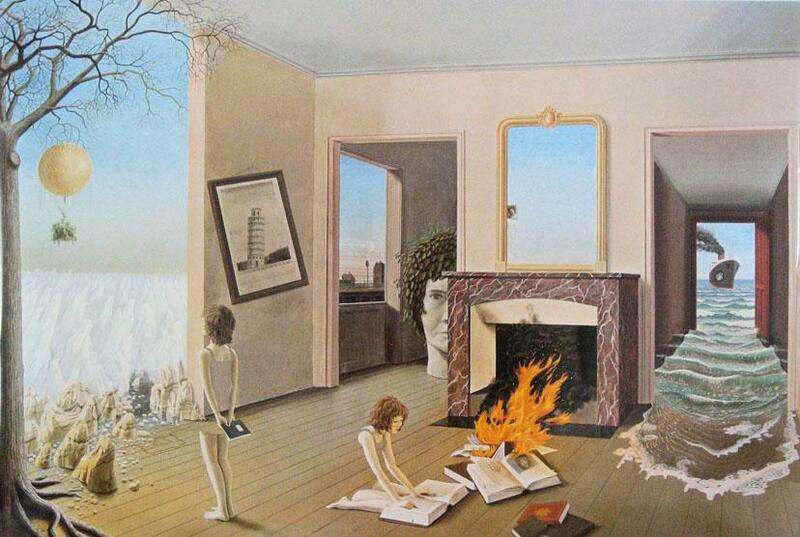 One never knows when a poem may interrupt a story line or character development and vice-versa. Since I have so many students that take creative writing every year, I try to switch things up so they are not completing the same assignment over and over. A couple of years ago we had a creative and talented writer, Matt Maki, volunteer at our school as an AmeriCorps worker. Matt orchestrated many poetry activities in our school during National Poetry Month, including having our students read an original poem-a-day over the daily announcements and he set-up an opportunity for a group of students to read their poems at the Northern Michigan University public radio station. Matt also organized an unforgettable poetry retreat that I featured in a blog post, Nourishing the Joy of Writing, and he assisted in creative writing class by coming up with engaging writing assignments. One of the activities was the reading and writing of flash fiction. The older students still talk about Matt and the impression he made on their writing lives. This fall when I was coming up with new assignments, I thought I would pull inspiration from the time Matt spent in my classroom. I thought it would be interesting to take flash fiction into the digital sphere to help amplify my students’ writing. The catch was, I wanted them to make their piece only 100 words long. In flash fiction a writer can whittle down narrative and get to the very heart of the story. Flash fiction attempts to accomplish a complete story in few words, therefore, the language in the piece must become precise and sparse. When we are forced to write within a 100 word frame every word becomes charged with intention and meaning. By combining flash fiction with the digital genre we can add extra layers of meaning with voice, music, and sound effects. Write a story that is EXACTLY 100 words. Turn your story into a digital piece using images that go along with the words. Break the sentences of your story into segments that are approximately 10 words. Create a visual for each segment. Make sure that the visual contains the story lines (think children’s book). Scan the images in to create your Digital Flash Fiction Story using a program like Movie Maker or iMovie and add music and credits. Credits to include: Creative Writing, Gwinn High School. The date, your names, and the artist for the music you used. Optional: Add a voice-over reading the story. If you do not have access to a scanner and computer with the right software, Mrs. Laitinen will scan the photos in and create your Digital Flash Fiction piece. Along with the visuals make sure you give her a CD or audio file of the music you would like for your piece. While the assignment was to create flash fiction. I think that the pieces translate well as prose poems. 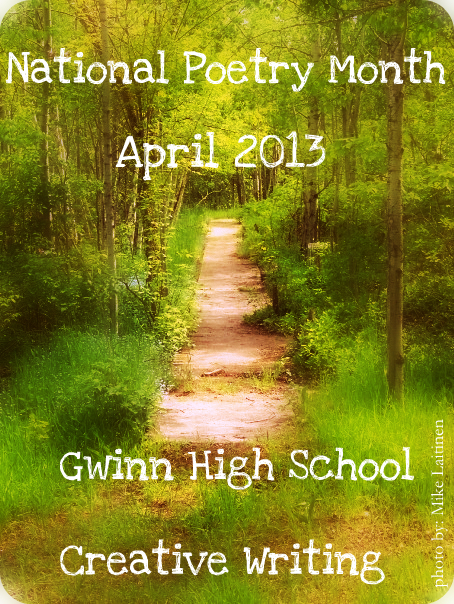 What better time to publish them, then National Poetry Month. Without anymore more rambling, here are five of my students Digital Prose Poems. If you like what you see, please leave a comment and please share these videos. Every writer knows how valuable feedback is to writers of any age, but especially important to young writers. The fifth piece was written by Bella. Bella is now a junior and I featured her amazing song-writing skills in a blog post, Our Students’ Brave Voices, when Bella was a freshman. Her piece may not translate to poetry but it is so fantastic that I have to share it. I think it embodies Bella’s unique and quirky personality. I love it and it makes me laugh every time that I watch it. If only we could all have Bella’s sense of style and uniqueness. I want to extend a thank you to Matt Maki for the gift of giving me new ways to look at writing and helping encourage past, present, and future students in my classroom. (In a future blog post I will be sharing the pieces that gathered my students awards at the regional level for the Scholastic Art and Writing Awards. One student, Tyler Yelle, received a Gold Key for his flash fiction piece.) Thank you also to the reader and viewer who is experiencing the poems that my students courageously agreed to enter into the digital realm. Please, if you were moved by their work like I am on a daily basis, consider commenting and sharing with your friends, family, and students. 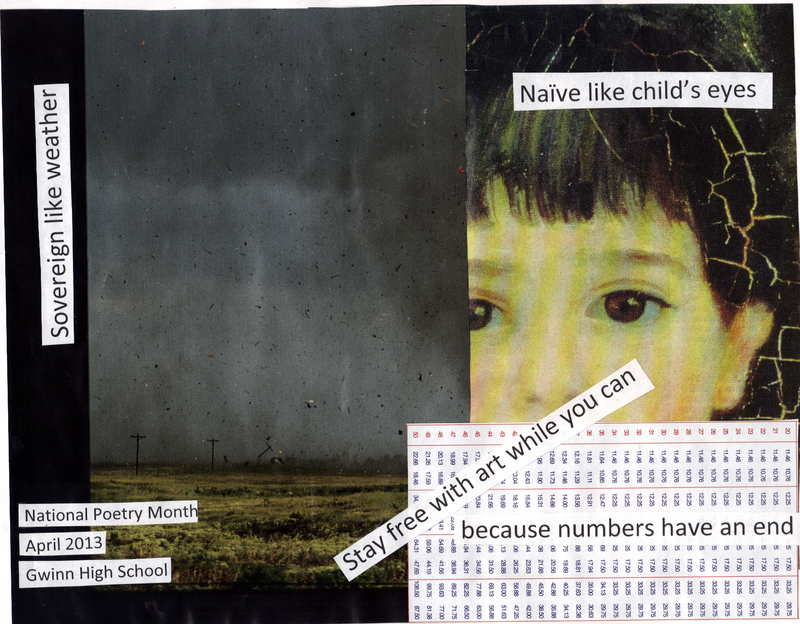 Stay tuned for more student work and my ideas to help stimulate poetry in the classroom.